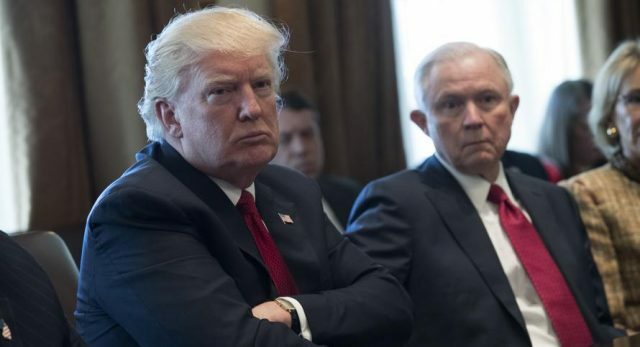 President Trump on Friday said that he wants Attorney General Jeff Sessions to investigate who wrote an anonymous Op-Ed in the New York Times critical of his administration, as a matter of national security. PRESIDENT DONALD TRUMP: The so-called resistance is angry because their horrible ideas have been rejected by the American people, and it’s driving them crazy. Crazy. They’re the ones, honestly, that have been driven crazy. The latest act of resistance is the op-ed published in the failing New York Times by an anonymous — really an anonymous, gutless coward. You just look. He was — nobody knows who the hell he is, or she, although they put he, but probably that’s a little disguise. That means it’s she. But for the sake of our national security, the New York Times should publish his name at once. I think their reporters should go and investigate who it is. That would actually be a good scoop. The entire FBI is tryng to overthrow the President, and he is worrying BOUT SOME LOW LEVEL FLUNKIE THAT MAY OR MAY not EXIST?